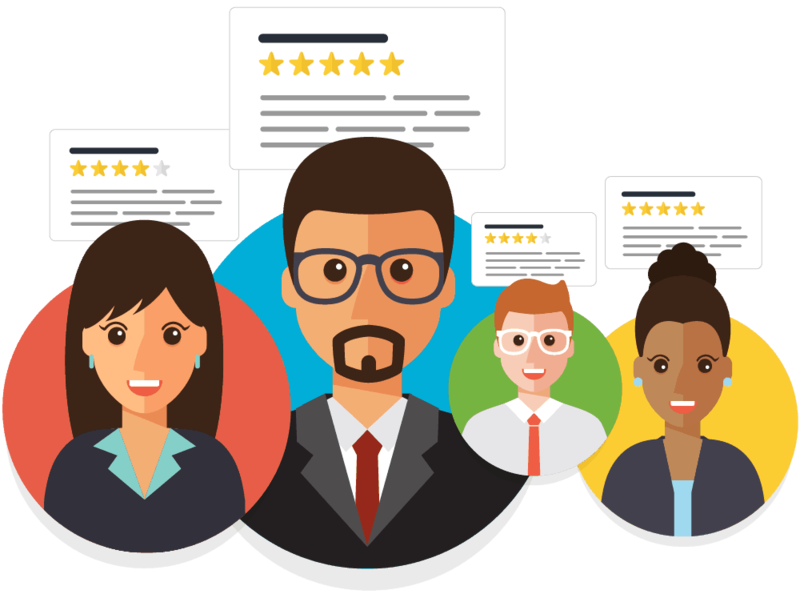 Centralize your review data, track all responses to reviews, discover customer trends and patterns, and measure reputation scores and performance over time. 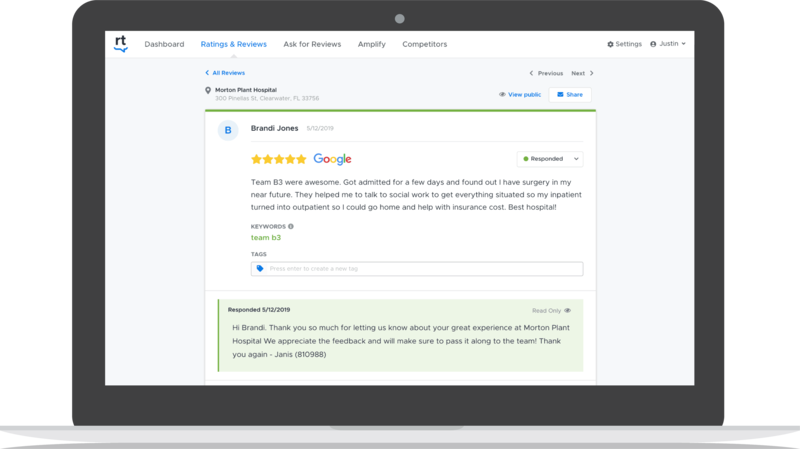 With our exclusive integrations, respond to Google and Facebook reviews directly from your ReviewTrackers dashboard. Email, push, and in-app notifications make sure your team is on top of all new reviews. Tag other users to assign responses to members of your social or customer success team. 53% of customers expect to hear back within 7 days of leaving a review.